You might have figured Ford's new all-aluminum F-150 would be a shoo-in for Motor Trend's 2015 Truck of the Year award, but you'd be wrong. 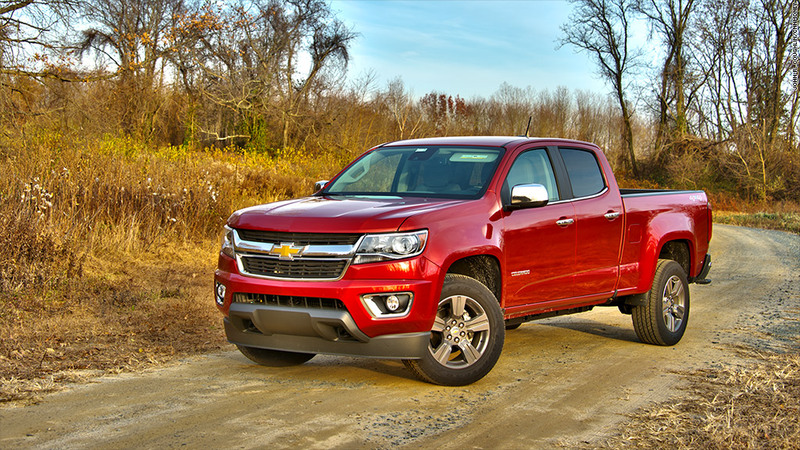 General Motors had its own all-new truck in the running and that vehicle, the mid-sized Chevrolet Colorado, took the prize. The Colorado is GM's new model that's designed to compete against trucks like the Toyota Tacoma and the Nissan Frontier. Neither Ford (F) nor Chrysler Group (FCAU)'s Ram truck brand offer trucks this size any longer. It is smaller than the full-size Chevrolet Silverado truck. "Colorado is a smart, capable, and refreshingly honest truck that makes a strong value and efficiency statement," Motor Trend editor-in-chief Ed Loh said in a statement. "It's perfectly sized and suited for the needs of many of today's truck users." GM last sold a truck called Colorado in the U.S. in 2012. "It's refreshing to see GM bring back such a capable 'small' truck," Loh said. The Ford F-150 didn't win because, although its all-aluminum construction is revolutionary, that didn't translate to improvements that customers would notice, Loh said. The truck is quicker and gets slightly better fuel economy than other trucks, he said, but the gains aren't huge. The Colorado won the Motor Trend award by a rare unanimous vote, the magazine said. 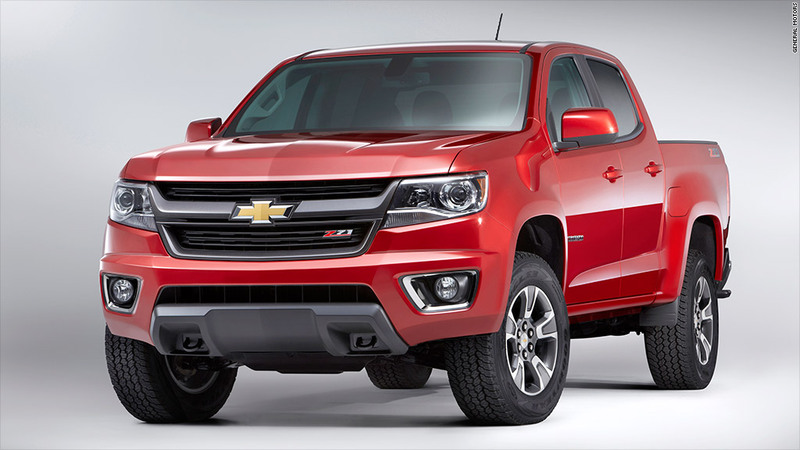 The new Chevrolet Colorado is much better than its Asian competitors, too, Loh said. It has sharp-looking design, inside and out, in a market segment where design really matters. Trucks this size are "lifestyle" vehicles rather than pure work trucks, Loh said, so buyers want something that looks good and up-to-date. Also, the Colorado handled well and got impressive fuel economy while still offering serious truck capability, Loh said. Because Motor Trend's Truck of the Year competition involves vehicles of various prices, sizes and capabilities, the trucks aren't pitted against one another directly. Instead, each truck is rated separately against six criteria: design advancement, engineering excellence, efficiency, safety, value and performance of its intended function. To be eligible for the award, a truck must be all-new or substantially changed for the 2015 model year. All the trucks in this year's competition were either GM (GM) or Ford (F) products. Besides the Colorado and F-150, the other trucks involved were the Chevrolet Silverado 3500 HD, GMC Sierra 2500 HD and Ford F-450 heavy-duty pickups, the Ford Transit van and the GMC Canyon midsize pickup, which is very closely related to the Colorado. The trucks were driven over 250 miles with and without cargo, put through a handling course and subjected to instrument-measured tests that simulated passing while carrying a load. They were also put through a variety of other performance tests. Following these tests, Motor Trend editors debated which truck was best overall when considering the various criteria. The Colorado won the award by a rare unanimous vote, the magazine said.